At Finfoot Lake Reserve we are passionate about the work we do. We can custom design a unique conference experience for your delegates incorporating a variety of specially supervised team building exercises. 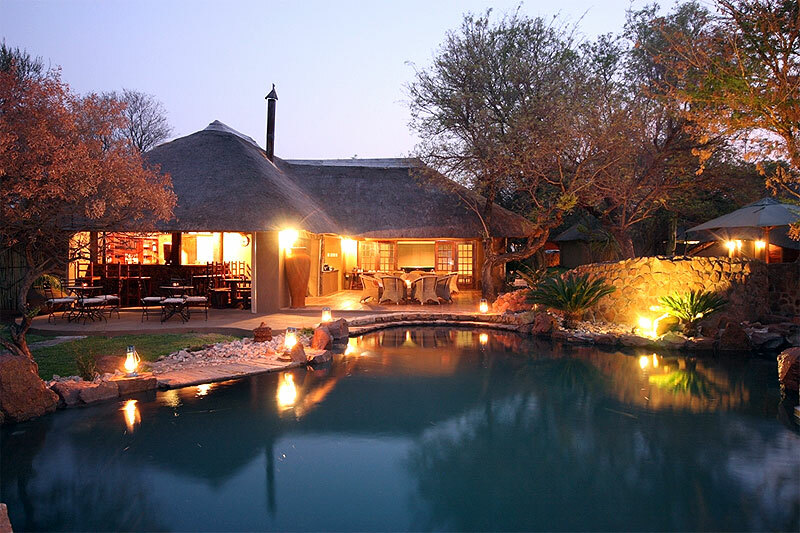 As well as canoeing, fishing, barge cruises, game drives, guided bush walks or simply relax in our beautiful rock pool. Let us tempt you with a selection of superb home-made cuisine which you can enjoy under the stars next to a roaring fire, or in one of our cool thatched dining areas. All this just 90 minutes from Johannesburg and 30 minutes from Sun City. With 8km of pristine water frontage on our 3500 hectare reserve, we are uniquely situated to offer unforgettable experiences. We can accommodate 50 guests in our comfortable chalets plus there are two five star luxury self-catering villa's which can accommodate 8 and 10 guests respectively. 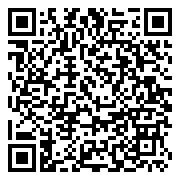 Conference facilities are available for up to 60 delegates. Enjoy abundant wildlife and extraordinary bird watching (over 400 species) at Finfoot. 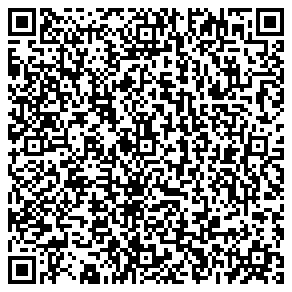 We invite you to come and explore the possibilities with us. Finfoot has a variety of great activities; from the avid birdwatcher to the casual game viewer; from the athletic to the more laid back; from the private to the corporate visitor. The accommodation at Finfoot is outstanding. Up to 50 guests can be accommodated in shared units. 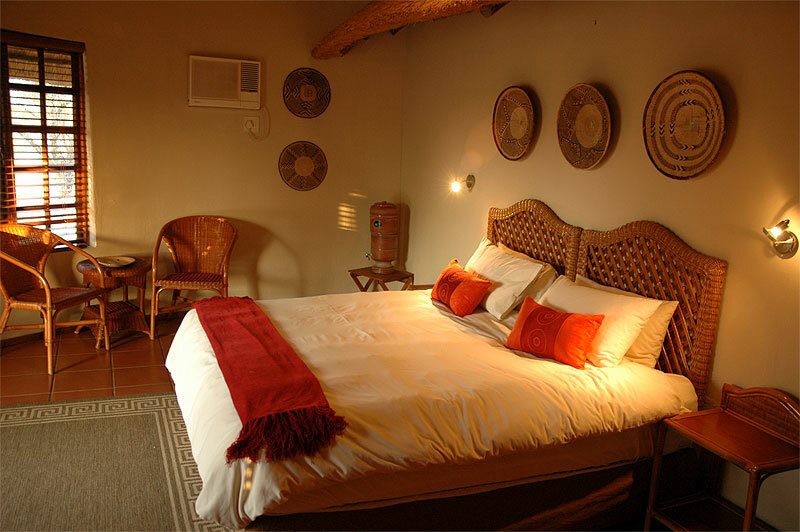 Our air-conditioned chalets are furnished with en-suite bathrooms with both shower and bath facilities to provide maximum comfort while still retaining the feel of the African bushveld. Private and secluded, they offer the best of both worlds. 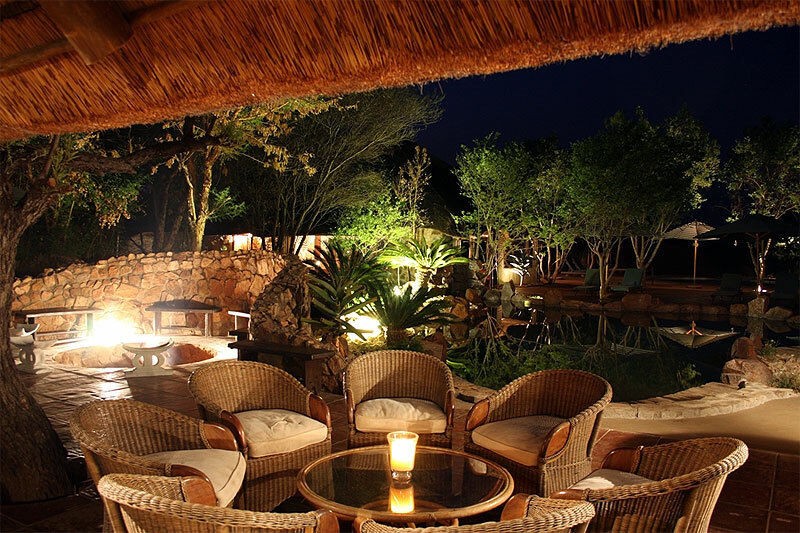 The cottages have dressed thatch ceilings, earthy print fabrics and indigenous wood furniture which make for a pleasurable experience. Each unit has an en-suite bathroom with both shower and bathtub. Air-conditioning provides hot or cold air depending on your requirements; or if you just want to breathe in the fresh bushveld air, just step out onto the private deck. Finfoot also has two five star self-catering luxury villa's which can accommodate 8 and 10 guests respectively. Guests can now relax and unwind by taking advantage of a variety of treatments at the on-site health spa located at Finfoot Lake Reserve. 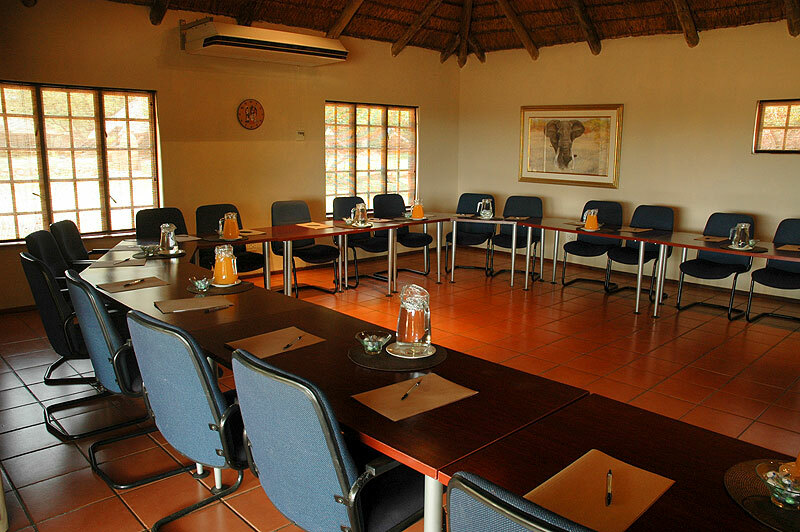 Our conference centres cater for all requirements of the modern corporate team. Fully equipped, they offer the best facilities for an effective presentation. There are 2 air-conditioned conference rooms seating from 10 to 60 delegates, as well as breakaway options. 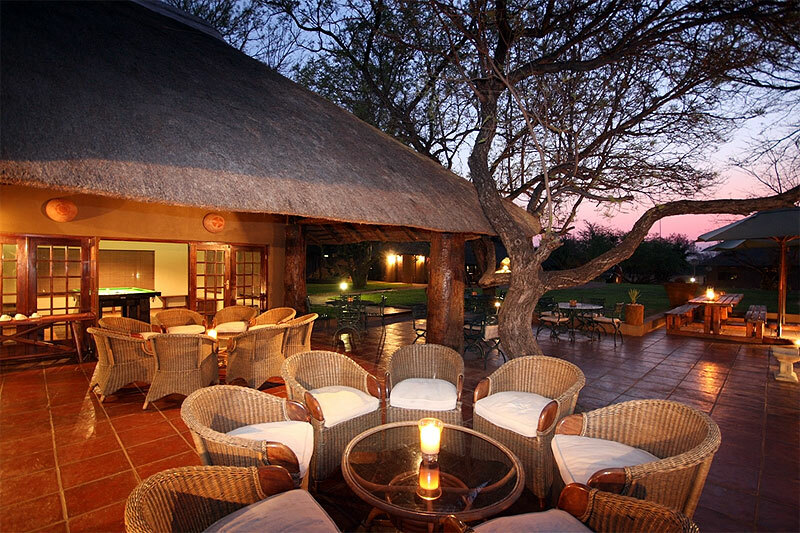 Tea and coffee is served on the deck, overlooking prime bushveld. Specifically aimed at corporate clients, it is as informative as it is fun. A day spent in the sun, solving problems, canoeing and just getting back to nature; team members leave with a greater sense of unity. Our bush walks are an experience of the wild - not simply a narrated picture tour. Our rangers are here to give our visitors a hands-on feel for this special place. Spoor identification, bird and animal calls, tree and grass identification, animal behaviour - the experience is all-encompassing. The barge is a unique experience in itself. 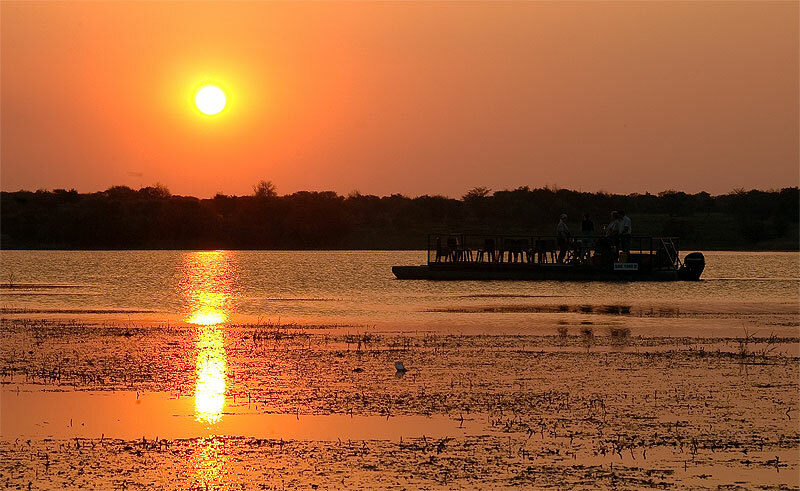 Nothing beats sitting on the deck, cruising slowly up the length of the lake, while sipping a sundowner and watching the game come down to the waters edge to drink. The views are simply magnificent, and the birdlife is spectacular. The barge also serves as a marshal point for canoe races and teambuilding activities on the lake. 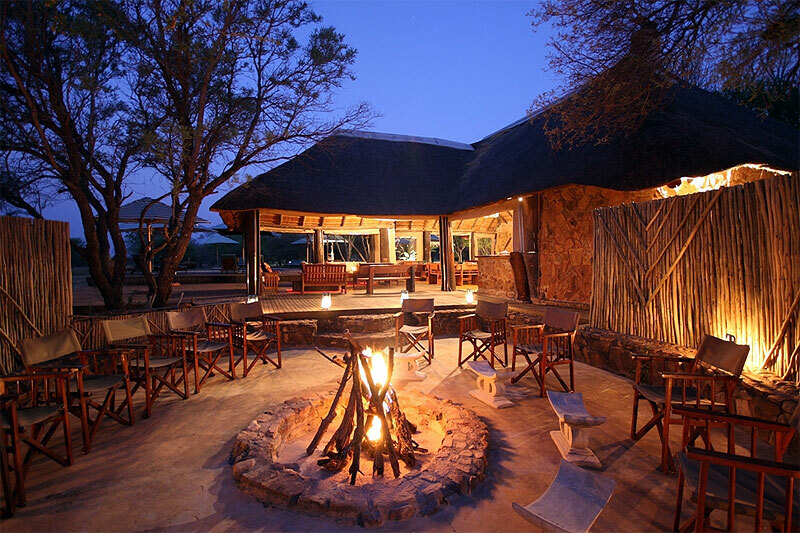 The boma is our lakeside entertainment area - where we enjoy bush braais; the magnificent stars in the night sky; and the company of friends and family. 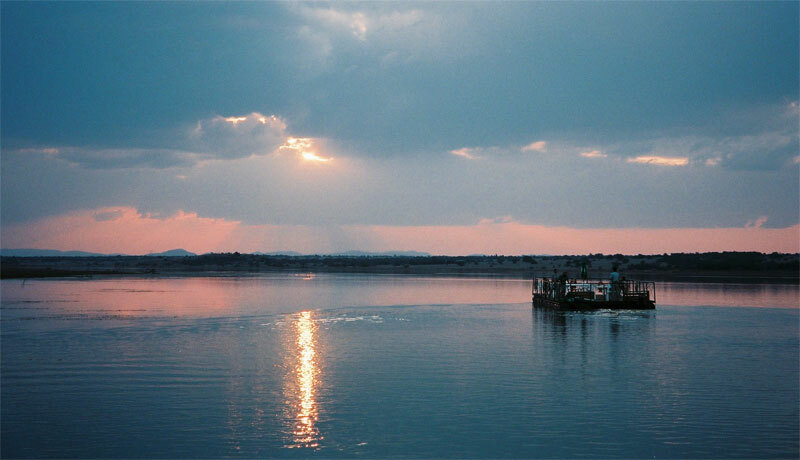 Situated next to the lake, it is the perfect way to round off a sunset barge trip. 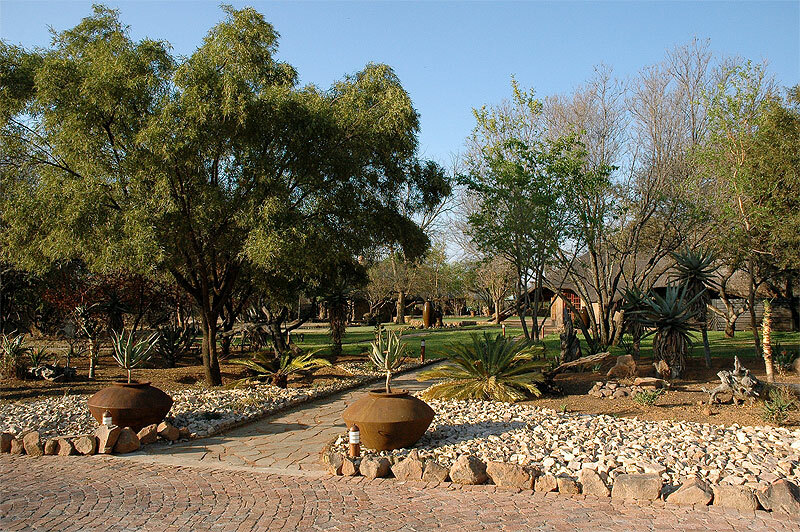 We also have a lapa area situated close to the lodge, which is ideal for braais, theme evenings or for just relaxing around the fire-pit. 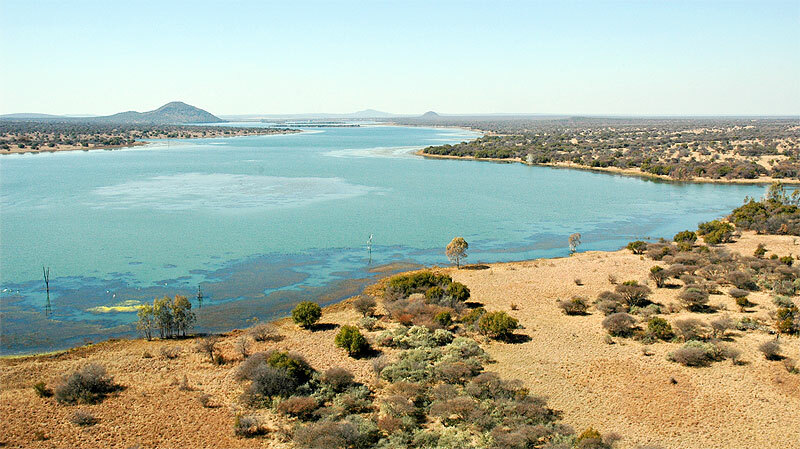 Finfoot prides itself at offering one of the richest diversities of game, bird and plant life in South Africa and can be viewed in open Landrovers, Canoe, Bushwalks and Sunset Barge Cruises. 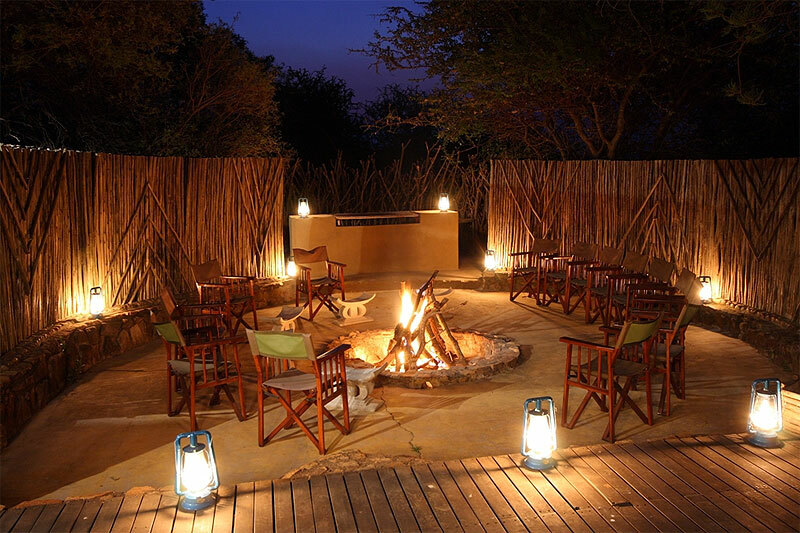 The game drives are therefore an experience of the bush, rather than merely a picturebook tour. Our qualified rangers make the experience all the more valuable, by providing interesting, hands-on information. CarpYellowKurperBlack BassBarbelSunset Barge CruiseThe barge is a unique experience in itself. Nothing beats sitting on the deck, cruising slowly up the length of the lake, while sipping a sundowner and watching the game come down to the waters edge to drink. The views are simply magnificent, and the birdlife is spectacular. The barge also serves as a marshal point for canoe races and teambuilding activities on the lake. 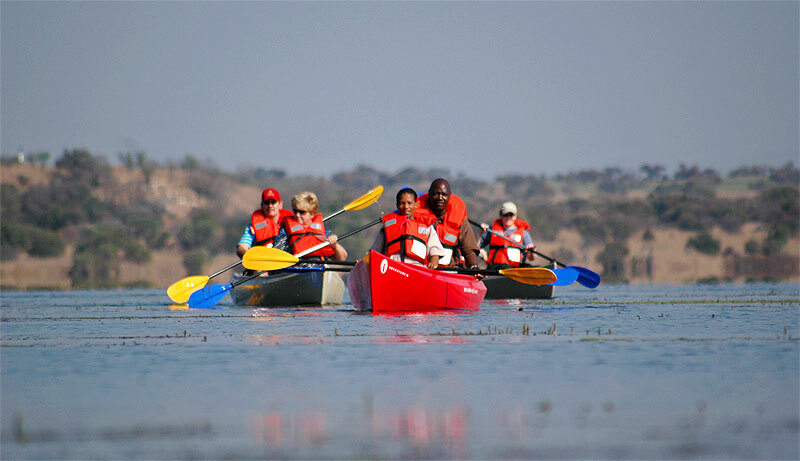 Our canoes are the ideal way to explore the lake - whether you're fishing or just wanting some quiet time for yourself or your family, this is the way to do it. We have a selection of high quality canoes to choose from - from small 2 seaters to larger canoes that can hold up to 6 people. Enjoy abundant wildlife and extraordinary bird watching on our 3500 hectare reserve. 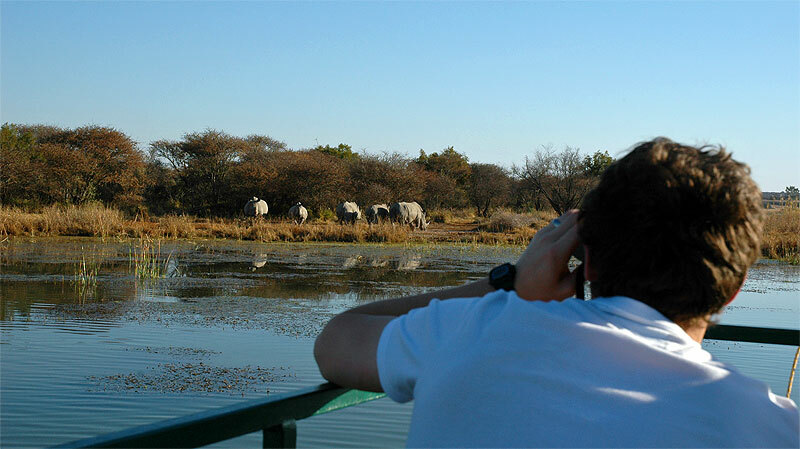 Whether relaxing on the barge with a sundowner in hand or in the jeep for a game viewing trip, remember your binoculars and camera to capture that 'unforgettable" moment.